Bajji in a Rainy season is a tempting snack. Why not make it very healthy by using “Karpooravalli / Omavalli / Ajwain / Mexican Mint / Oregano Leaves” instead of banana? People who would not eat omavalli leaves otherwise will also won’t mind. 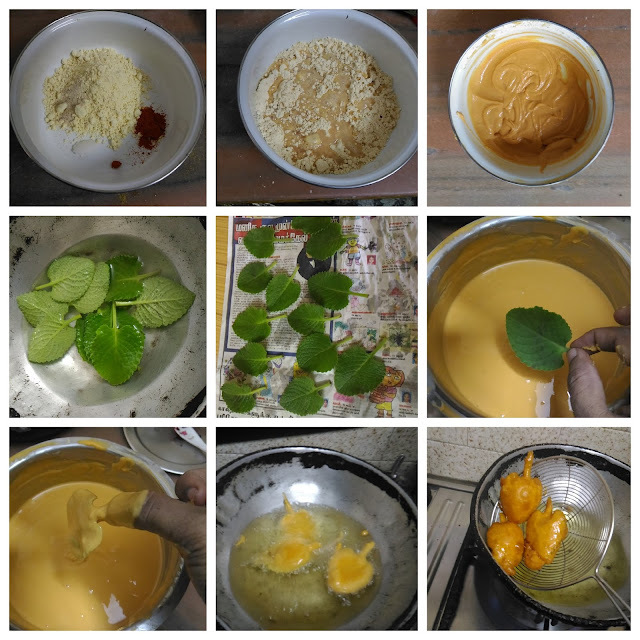 By this way, this is a very popular snack in Visakapattinam (Andhrapradesh). 1. Wash the leaves twice or thrice gently. 2. Dry them using the kitchen towel or paper. Keep it aside. 3. In a bowl, add gram flour, rice flour, hing, cooking soda, red chilli powder and salt. Mix them well. 4. Add water little by little and mix them with wire whisk. Add enough water to make the bajji batter little bit thinner than idli batter consistency. 5. Heat enough oil in a frying pan. Put a drop of batter in the oil; if the batter comes up immediately is the right temperature of the oil. 6. Dip each leaves with batter and deep fry with oil. 7. Cook till the sizzling sound stops completely. 8. Take them out from the oil and spread them on the tissue paper to absorb the excess oil. 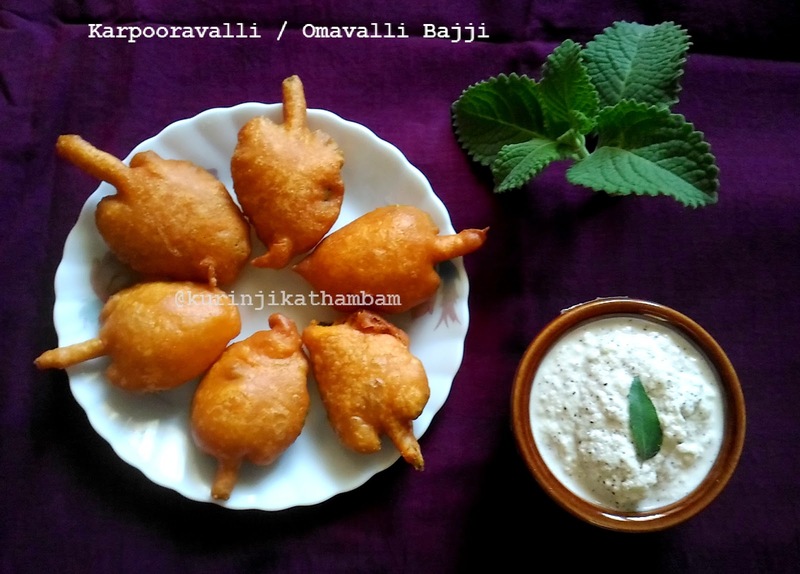 Tasty and healthy Omavalli/Karpooravalli Bajji ready. Serve it with Coconut Chutney (Recipe HERE). 1. 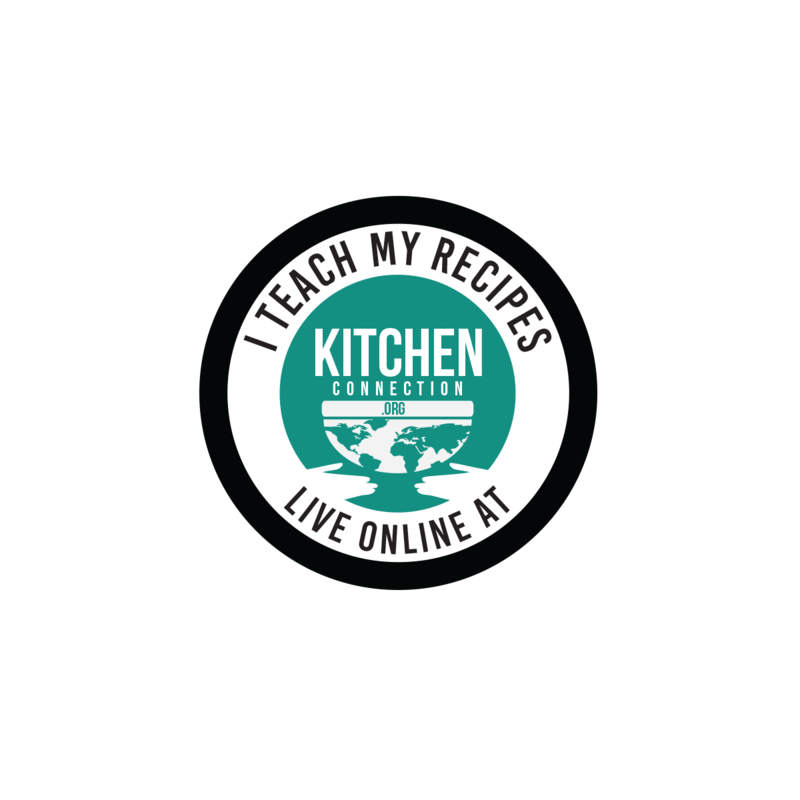 You can use the excess batter to prepare onion bajjis. 2. Don’t over load the oil with too many bajjis. Thank you so much Kalps.